Fire is 100% contained as of 3:30 pm today. 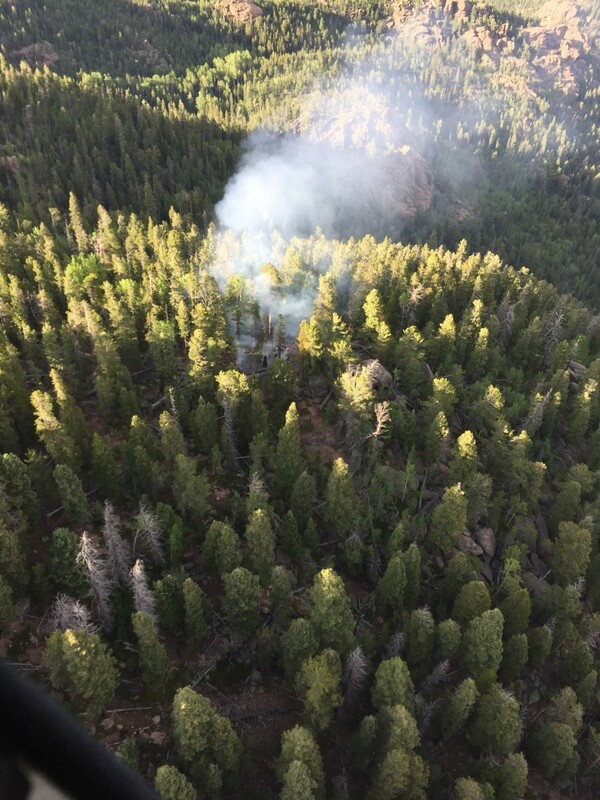 Crews continue to reinforce fireline and mop up hotspots. Very few smokes showing on the fire this morning. Resources: 2-engines, 1- Hand Crew. Approximate general location of Rampart Fire. 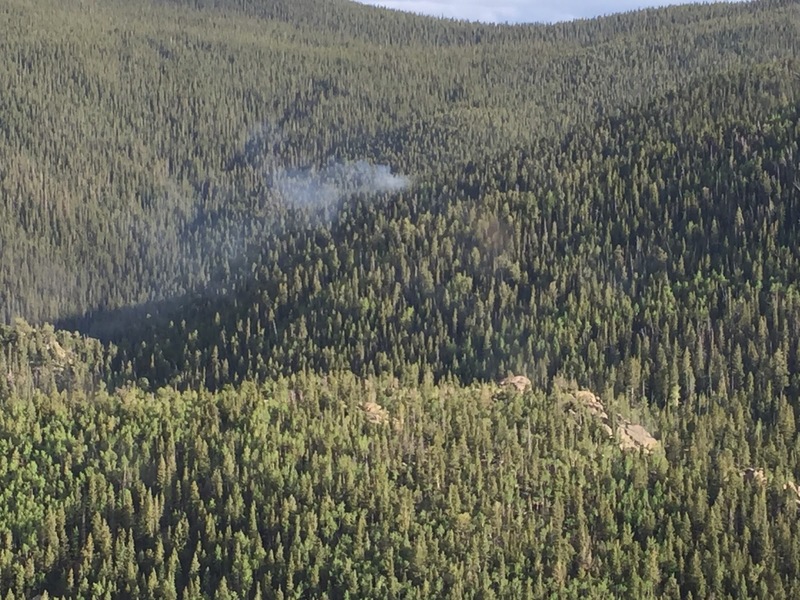 The cause of the 392 Fire has been determined, by investigators, to be shooting exploding targets. Suspects attempted to extinguish the fire and remained on-scene until firefighters arrived and are fully cooperating with the investigation. Firefighters continued to mop up hot spots interior of the constructed handline today and the fire is now 75% contained. 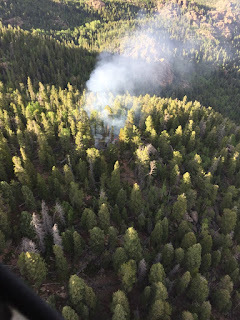 The fire will be monitored through the night and tomorrow the same resources will be at work continuing to secure the fire. No aerial assets were used today or are anticipated to be used tomorrow. Smoke will remain visible in the area tomorrow as heavy fuels in the interior continue to be consumed. the incident will transition tomorrow to a type IV management organization. Please be aware of firefighters working in the area. The handline constructed yesterday around the entire fire held through last night and containment remains at 50%. Firefighters continue to mop-up the perimeter and are catching any hot spots close to the line. CR 39 is now open. Isolated torching of heavy fuels interior of the fire continues. Doug Petray is the IC of the Type III organization managing the fire. We encourage visitors to avoid the fire area. Firefighters continue to secure fire line and mop up hot-spots. CR 56 at 285 is now open and the portion of CR 39 that was closed will likely open tomorrow. 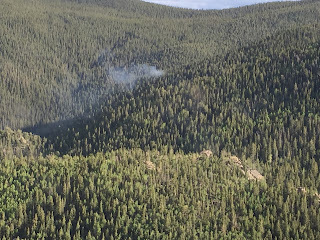 There is still isolated torching of heavy fuels inside the fire perimeter. Flames and smoke will be visible tonight. Type III helicopter from Monument dropped approx. 10 bucket loads yesterday dipping from the South Platte River which caused quite the traffic jam along the road. They had ordered the helicopter for today but due to the low clouds in Monument, it was not able to operate.